De-Risking ADIENT’s Treasury Team - The Treasury Recruitment Co. Problem / Brief / Requirement? Johnson Controls Plc needed to recruit a strong Treasury Risk Manager who was going to play a key part in supporting the divestiture/spinoff process as they split and spun off their ADIENT automotive business. They needed someone who would be exceptional when it came to identifying financial risks and exposures, the ability to implement the appropriate hedging strategy within a rapidly changing and evolving company. They needed to possess a flexible mindset and someone who was comfortable when dealing with structural change. So Johnson Controls Plc called us! We were familiar with the team and company culture having successfully recruited 6 members of the treasury team for Johnson Controls over the past 18 years. 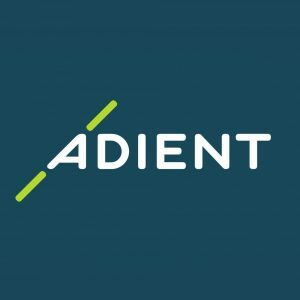 The new Group Treasurer of ADIENT and the Executive Director of Financial Risk Management, who the role would report into, had been placed by the Treasury Recruitment Company over 17 years ago, so we knew who would be a strong fit within the new team. Whilst our Treasury network within Belgium, and especially within Brussels, is exceptionally strong given the specialist nature of the role we knew this wasn’t going to be a straightforward search. The lack of success finding someone via LinkedIn and extensive search by the internal team proved it. We carried out a highly targeted network search via our past clients and candidates, canvassing their thoughts about who would suit the position and who could and would be attracted by a role like this. Given the required specialist skillset, it was unlikely that they would be active in job search mode. Rather we would need to tempt them by the very nature of the role itself. Through this research Mike Richards, our CEO, discovered that changes were imminent within some local Belgian companies meaning that there may be some treasury professionals who could be open to confidential approaches. But they would need convincing. Many Belgian treasury professionals talked about the negative experiences they had had when dealing with non-specialist recruiters. Mike networked with some of his closest contacts who were able to reassure candidates that The Treasury Recruitment Company’s approach was not only different, but based upon a real track record of success. The fact that he had placed many of their managers into their roles many years before helped enormously. They knew they could trust us. Once we presented the opportunity to Sandrine she trusted us to represent her and as they say, the rest is history! “Mike and the team at Treasury Recruitment Company did a great job and I was comfortable based upon their great track record of placing treasury professionals within Johnson Controls. I love working with Kathleen, we make a great team with many complementary skills!